This is a product market expansion grid powerpoint slides. This is a two stage process. The stages in this process are product market expansion grid, market development. 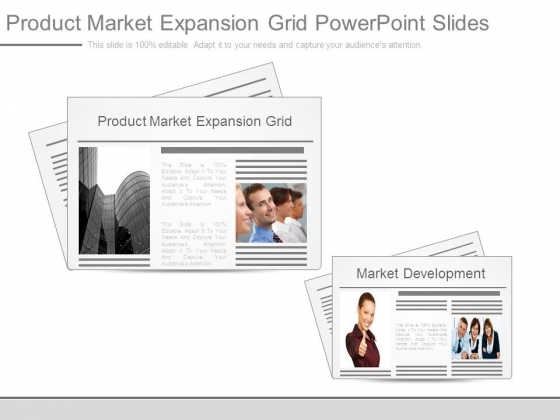 Our Product Market Expansion Grid Powerpoint Slides give it a festive look. Awe the audience with a decorative atmosphere. 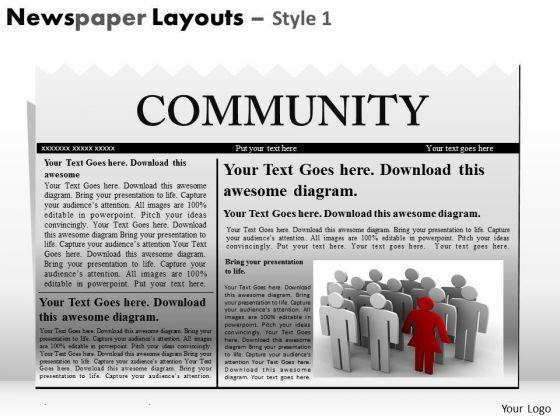 Analyze Ailments On Our Marketing Diagram Newspaper Layouts Style Consulting Diagram Powerpoint Templates. Bring Out The Thinking Doctor In You. 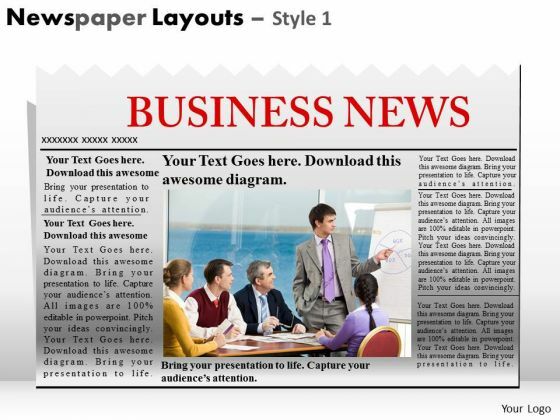 Dock Your Thoughts With Our Marketing Diagram Newspaper Layouts Style Consulting Diagram Powerpoint Templates. They Will Launch Them Into Orbit. Get Out Of The Dock With Our Strategic Management Newspaper Layouts Style Strategy Diagram Powerpoint Templates. Your Mind Will Be Set Free.